One of the least-entertained landscape features I have encountered since relocating “Back East” has dealt with the relative paucity of good landscape lighting, as compared with, say Portland or Reno. 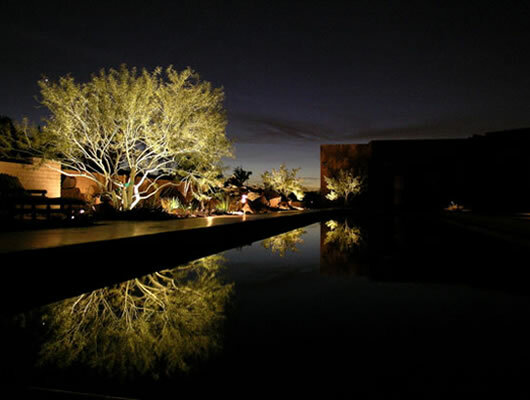 “Good landscape lighting” has a dimension of its own, based on some rather simple principles. The design of all exterior lighting demands some basic instructions which everyone understands in principle but which truly languishes in application. 1. Glare into no eyeballs. 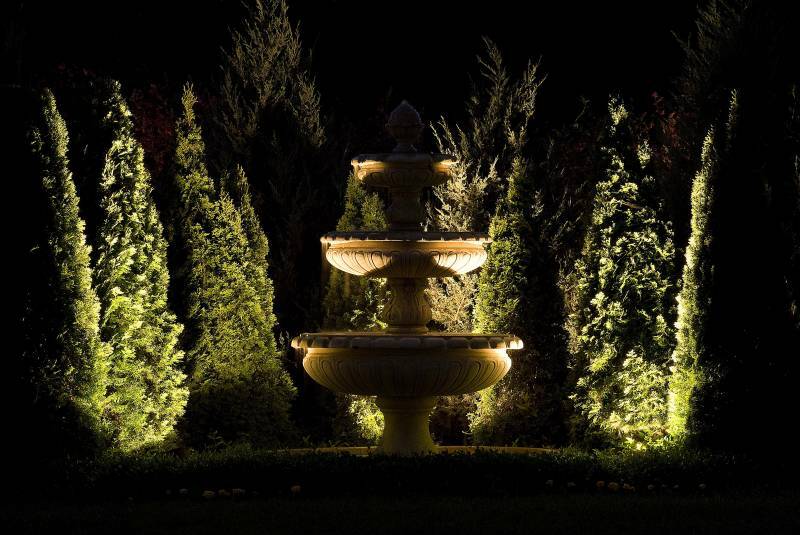 Security lighting is vastly different from landscape lighting, although to be sure each is intimately reciprocally involved. 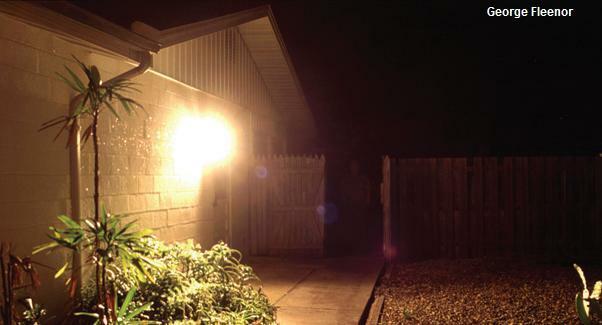 Any lighting makes a home more secure by it’s basic nature. Yet, by sending out incredibly hostile strong beams of light on the prompting of a motion sensor or by simply being on all night, reduces the ability to actually see a home. It has the curb appeal of a state prison. Now, having said that, if you are packing the Hope Diamond or a small arsenal of illegal arms, one can sympathize with your plight. Use a Bat Light early and often, those of you with true paranoia! For the rest of us, which of these pictures represents what you would enjoy driving into following a laborious day at work? The first, a glaring display of Ultra High Security Blinding? Or this pleasant, still-secure yet inclusive and actually sorta pretty example of possibility? Sort of an absurd question, really, isn’t it? It’s also a bit ironic, choosing this picture to feature when I would have buried those lights, using “Well Lights” which supply the same Lumens without the glare. But the beauty of what’s on top overrode my reluctance because it shows at the ‘leaf level’ what is possible in even the most modest plans. Referencing the gorgeous lighting treatment of the landscape above, which is studded with filters and color gels and probably designed by a true lighting artist for compatibility, we happen across just a few “possibilities” in lighting which should inspire a sense of what is available and possible. So, in design senses, we reach for what we can have and it is huge. 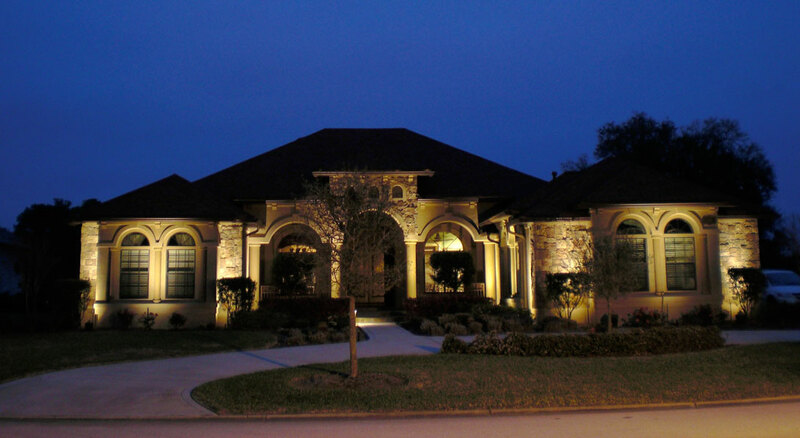 Simple foundation lighting – once again, simple “up-lighting” from hidden features – tend to provide not just security but also can be used to feature a home’s innate nightly beauty in ways daylight cannot. The design stage is only somewhat complex. In many cases, it matches budgets foremost, thence to degrees of brightness and decisions based on “hot lighting” – very focused and attention-getting lighting of favorite items in a landscape – to milder and far more unobtrusive usage of “ambient lighting” which disperses light by reflection and general “influence”. We can see it in this very muted look, across a forest, where the warmth so extends in such a welcoming fashion………..
To somewhat of a bolder statement inside one of our urban subdivisions as this gorgeous place also welcomes us with just a bit more pizzazz. Neither of these homes has more than 10 lights involved in enhancing the night. For the cost-conscious, this should be enormously gratifying to know. Underwater lights have become insanely simple to install. 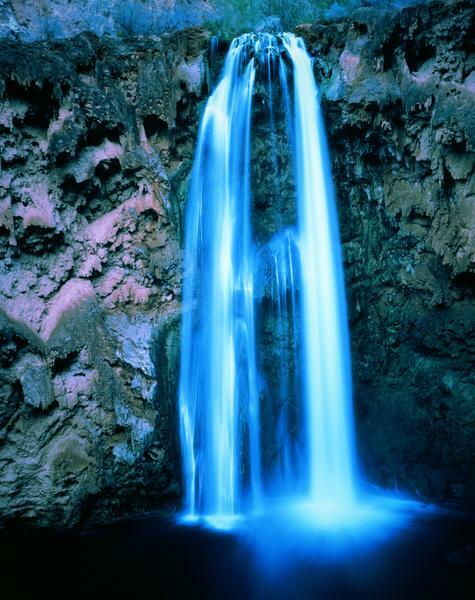 The varieties of underwater lights and the profusion of water features in landscapes have delivered an almost absurd level of fascination, for more reasons than there are waterfalls. Refracted light dances like crazy, often producing fabulously active sprays of dancing lighting, phosphorescent cores at the middle of waterfalls as well as the peacefulness which only standing water can provide. I could post forever about the interplay of light and water since water features of all kinds were sort of a stock-in-trade for me. Need a completely new room? Looking for a place to host a party? Want somewhere where you can sit and relish your surroundings? 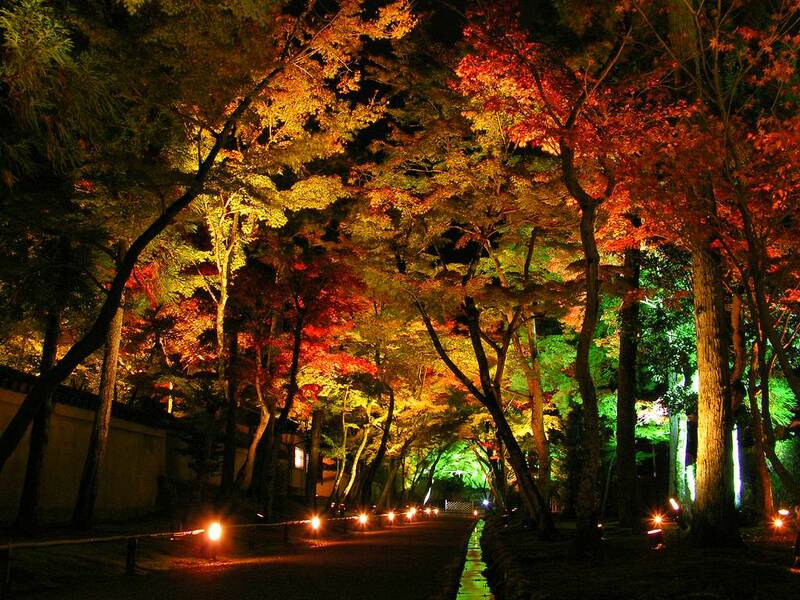 Add lights to your back yard! The virtual erection of fencing is what a system of lights ringing a back yard can provide. 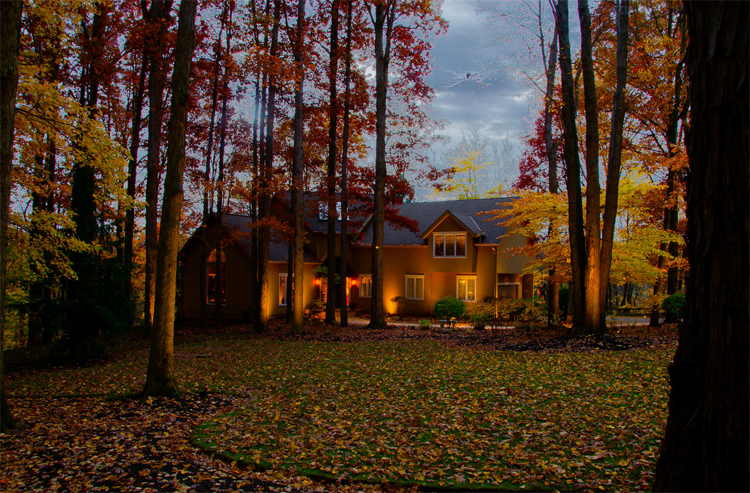 Landscape lighting, done right, can create another entire area of human play and relaxation. Mixed with a good barbecue or even a monster kitchen out back, suddenly “going in” loses some appeal.